We live in the Information Age, but it’s fair to suggest we also work in the Availability Age. Just about every organization expects fast and reliable access to their sensitive data and critical applications. With integral business functions dependent on the highest level of accessibility, companies recognize that disaster recovery (DR) is just as important as the efficiency of their infrastructure or cloud service. But despite aiming high and wanting nearly-perfect business continuity, many businesses are far from reaching that goal. That’s what we discovered in our most recent annual survey of more than 140 directors, CIOs and managers of large, mid-sized and small companies. The majority of respondents to the CloudEndure 2016 survey Disaster Recovery Challenges and Best Practices serve more than one type of customer, providing services to a mix of enterprises and small businesses and often directly to customers. They face the constant pressure of offering business continuity they can hang their hats on. The respondents delivered good news: some pain points of disaster recovery have improved since last year. Cloud provider downtime, for example, decreased for many. But the respondents also said progress is still needed in many critical areas, including the prevention of consequential human error. Indeed, the top risk to system availability for most of these professionals is a mistake made by man (and woman) and not machine. The same held true in 2015. Network failure, by the way, was the second most cited risk this year and last. It’s worth reviewing several of the survey’s findings to highlight the deep concerns and enlightened opinions of these IT professionals so that your organization hopefully will have a better understanding of the practices and challenges many businesses have when ensuring DR and business continuity. The importance of disaster recovery has been (almost) fully realized. Today, only five percent of companies have no DR for any of their production servers, according to the survey. Have no fear: Those holdouts expect to have DR by next year. Similarly, 67 percent believe they will have DR for more than half of their servers within the next 12 months. 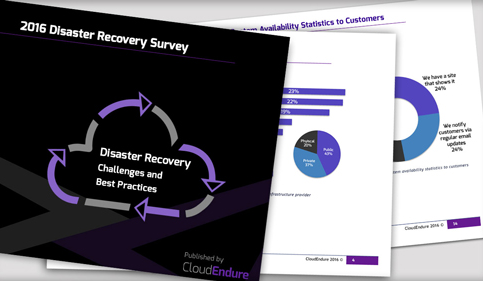 An even better indication of changing standards about disaster recovery – even though it’s a slow shift – is that 22 percent of the surveyed companies want DR for all of their production servers by 2017. Right now, 13 percent of those surveyed have DR across the board. A smart business will usually research the service availability of a service provider before signing a contract. Our numbers support that: Eighty-four percent of our respondents rated service availability as a highly critical expectation of their customers and thus their business operations. Seventy-seven percent of surveyed organizations have a service availability goal of 99.9 percent (“three nines” or less than nine hours of downtime a year) or better. But many businesses told us they have even higher expectations for service availability. Twenty-eight percent have a goal of 99.99 percent (“four nines” or less than 53 minutes of downtime), while 19 percent aim for 99.999% or above (“five nines” or less than five minutes of downtime a year). Half of those surveyed define downtime as an inaccessible system, while the other half expanded the definition further by saying downtime also means the system is accessible but its performance is highly degraded or some functions are not operational. With these standards in mind, 90 percent of businesses said they meet their service availability goals consistently or most of the time. Despite having high expectations for service availability and believing they meet those goals, businesses nonetheless got hit by downtime not long before we reached out with our survey. More than half of them (57 percent) had an outage in the three months leading up to the survey and nearly a third (31 percent) had an outage in the days and weeks before answering our questions. The top risk to system availability is human error. Twenty-two percent of respondents said lack of training, poorly-labeled and illogical functions, human fatigue and inattention are the leading causes for employees jeopardizing system availability. Not far behind on the list of risks was network failures (20 percent), followed by application bugs (15 percent), storage failures (11 percent) and external threats such as hacking and denial of service attacks (11 percent). More good news: Cloud services might be improving their availability. We say that because the downtime of cloud providers, which ranked as the third biggest risk on our 2015 survey, fell to sixth this year. Just as we learned last year, insufficient IT resources and budget limitations are the top two challenges stopping businesses from meeting their availability goals. Other hurdles listed this year include lack of in-house expertise, difficulty keeping pace with change and growth, a narrow ability to prevent software bugs and limited cloud resource capability. Resources, budgets and other hurdles undoubtedly hinder businesses from staying on top of backup and DR. For example, while 29 percent of respondents take advantage of continuous data replication, 38 percent of them are on the other end of the spectrum: performing less thorough backup only every 12 to 24 hours. Unquestionably, time and money spent on DR and backup influence how organizations handle business continuity. Our survey found a strong correlation between the cost of downtime and the average hours a week invested in backup and DR. Organizations that estimate the cost of a day of downtime is less than $10,000, in turn, invest fewer than five hours a week in backup and DR efforts. Those that see daily downtime costs exceeding $100,000 spend more than five hours a week on DR and backup. The risks and challenges addressed in our survey said a lot about what businesses are worrying about. But if anything, the responses of many of these professionals show that despite budget limits, staffing issues and other hurdles, they want to meet customer demand for service availability and have confidence that disaster recovery will ensure access to critical data and applications. 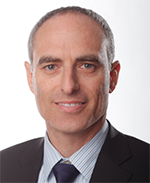 Ofer Gadish, CloudEndure’s CEO, is a serial entrepreneur and prolific innovator. He has over 16 years of extensive experience in senior management positions, both in startups such as Camelot, Jungo and Digicash and at established corporations, including Globespan, Amdocs and Limelight Networks. Ofer was previously the CEO and Co-Founder of AcceloWeb and VP & General Manager in Limelight Networks after its acquisition of AcceloWeb. Incidents of phishing picked up dramatically over the past year, according to the newly released Verizon 2016 Data Breach Investigations Report, which analyzed more than 2,260 confirmed data breaches and more than 100,000 reported security incidents. Eighty-nine (89) percent of all attacks involve financial or espionage motivations. Most attacks exploit known vulnerabilities that have never been patched despite patches being available for months, or even years. In fact, the top 10 known vulnerabilities accounted for 85 percent of successful exploits. Sixty-three (63) percent of confirmed data breaches involve using weak, default or stolen passwords. Ransomware attacks increased by 16 percent over 2015 findings. Basic defenses continue to be sorely lacking in many organizations. "The Data Breach Investigations Report's increasing importance to businesses, law enforcement and governmental agencies demonstrates a strong desire to stay ahead of cybercrime," said Chris Formant, president of Verizon Enterprise Solutions. "Now more than ever, the collaboration and contributions evidenced in the DBIR from organizations across the globe are required to fully understand the threat landscape. And understanding is the first step toward addressing that threat." "You might say our findings boil down to one common theme -- the human element," said Bryan Sartin, executive director of global security services, Verizon Enterprise Solutions. "Despite advances in information security research and cyber detection solutions and tools, we continue to see many of the same errors we've known about for more than a decade now." SES will increasing its stake in O3b Networks (O3b) from 49.1% to 50.5%, giving it majority control, for a payment of US$20 million. This brings its aggregate equity investment in O3b to date to US$323 million (EUR 257 million). On completion, SES will consolidate O3b’s net debt, which is currently USD 1.2 billion. In addition, the Board of O3b Networks has agreed to evaluate an Initial Public Offering (IPO) process for the remaining 49.5% of O3b shares following receipt of the requisite regulatory approvals, and subsequent completion of SES’s increase in ownership to 50.5%. 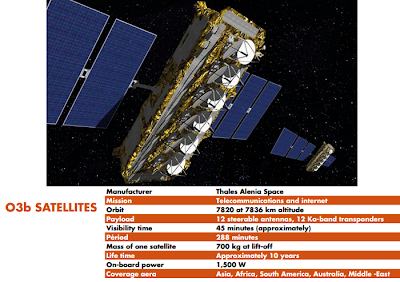 O3b Networks operates a constellation of 12 High Throughput Satellites (HTS) in a Medium Earth Orbit (MEO) around 8,000 kilometres from the Earth. The company offers customers a ‘fibre in the sky’ solution, with each of the constellation’s beams capable of delivering up to 1.6 Gbps of throughput at a low latency of less than 150 milliseconds, a significant improvement over geostationary connectivity. 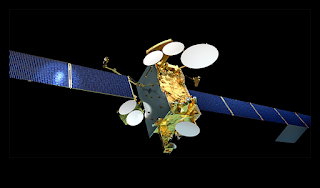 O3b claims to be the fastest growing satellite network in history in terms of capacity contracted. Since beginning commercial operations in September 2014, the company has added over 40 Enterprise, Mobility and Government clients across 31 countries. To date, over 50% of customers have already upgraded their initial service commitments, demonstrating the attraction of O3b’s unique and ‘game-changing’ solution. Consequently, O3b has a fully protected contract backlog of US$350 million. O3b’s global customer base includes Digicel Pacific, Royal Caribbean Cruise Lines, American Samoa Telecom, Speedcast, Rignet, Bharti International (Airtel), Timor Telecom, CNT Ecuador, Entel Chile and (via SES Government Solutions) the U.S. National Oceanic and Atmospheric Administration (NOAA). O3b has procured an additional eight satellites to accommodate rapidly-expanding demand, with four satellites expected to be launched during H1 2018, and the remaining four satellites expected to be launched in H2 2019. These procurements will increase the size of the current fleet from 12 to 20 satellites (including three satellites currently flying as in-orbit back-up). At ‘steady-state’ utilisation, which is targeted to be achieved by the end of the third year of a satellite’s commercial service, the full operational constellation is expected to generate annualised revenue of between US$32 million and US$36 million per satellite. SES said the consolidation enables it to extend its global reach and satellite-enabled solutions. “The move to take control of O3b is a game-changing acquisition and a major step in the execution of SES’s differentiated strategy and complements SES’s growth strategy. O3b delivers a unique capability and solution, which is already in operation, for Enterprise, Mobility and Government clients, particularly for applications where low latency is an increasingly essential feature. The combined GEO/MEO satellite network and capabilities give SES a truly compelling and differentiated service offering within the industry, strengthening SES’s unique positioning across the data-centric markets," stated Karim Michel Sabbagh, President and CEO. O3b Networks closed $460 million in incremental financing to support its next-generation satellite network. The company plans to use the money to expand the total number of satellites in its constellation from twelve to twenty. O3b began full commercial operations in September 2014. The company said it now supports connectivity for more than 40 customers worldwide, with more than 50% of those customers having already upgraded their service commitments to O3b during the first year of commercial operation. “This is an incredibly exciting time for O3b and its customers. Our constellation is highly scalable and can be grown in direct response to market demand. In only a little over a year from our full commercial launch, we can already see the need for substantially more capacity in orbit to serve our customers. We are the No.1 operator in the Pacific and, together with Royal Caribbean, we have revolutionized the cruise connectivity market. Our Telco customers are expanding their service offerings and growing their markets on the back of O3b’s performance and capability,” said Steve Collar, CEO of O3b Networks. O3b Networks’ investors include SES, Google, Liberty Global, HSBC Principal Investments, Northbridge Venture Partners, Allen & Company, Development Bank of Southern Africa, Sofina, Satya Capital and Luxempart. O3b Networks is headquartered in St. Helier, Jersey, Channel Islands. SpaceX successfully launched the SES-9 satellite using a Falcon 9 rocket from Cape Canaveral Air Force Station, Florida. 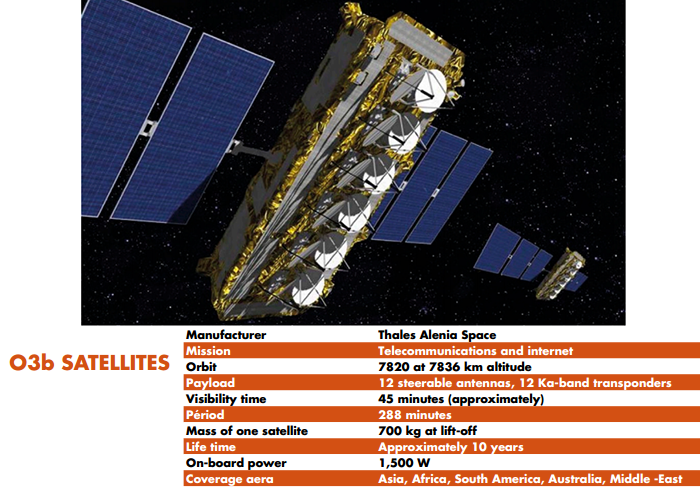 SES-9 is SES’s largest satellite to serve the Asia-Pacific region. It weighed 5.3 tonnes at the launch and has 57 high-power Ku-band transponders – equivalent to 81x36 MHz transponders’ It thus provides significant expansion capacity to serve the buoyant and fast-growing video, enterprise, mobility and government sectors across Northeast Asia, South Asia, India, Indonesia and the Philippines. In addition, SES-9 is equipped with dedicated mobility beams to provide maritime coverage vessels on high-traffic maritime routes between the Suez Canal and Strait of Malacca. The Falcon 9 rocket attempted to land on a drone ship in the Atlantic, but missed narrowly. Gogo has contracted major High Throughput Satellite (HTS) spot beam and wide beam capacity aboard two SES next-generation HTS satellites, SES-14 and SES-15, which are set for launch in 2017. The deal will enable Gogo to address the growing demand for high-speed inflight connectivity on travel routes over North America, including Alaska, Hawaii, Mexico and Canada, as well as Central America and the Caribbean. Gogo will also have access to HTS capacity on an additional satellite, SES-12, which is set to be launched in 2017 with high-powered spot beam and wide beam coverage over Asia, the Middle East, North Africa and Russia.